Highly trained technicians for your commercial construction clean-up job! We are a full service cleaning company serving Maryland, DC, and Virginia. 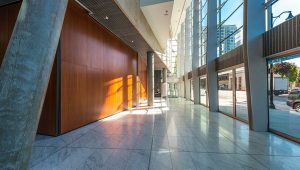 We provide post-construction clean-up services for small commercial fit outs to one million square ft commercial spaces. 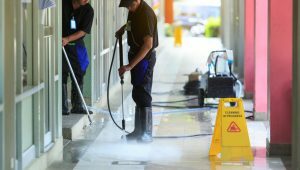 We are fully equipped with commercial grade cleaning equipment, from small commercial fit outs to one million square ft commercial spaces. We are experienced and safety certified with boom lifts and boson chair system for high rise buildings, storefronts, penthouses and glass balconies. 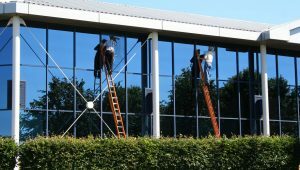 Our highly-skilled staff will professionally clean building façades, garages, balconies, and roofs. FTCC is committed to providing the highest quality commercial cleaning service available by meeting expectation and goals of our clients. FTCC also emphasizes and focuses on the importance of safety and professionalism of our staff on every job and the safety training of our employees. Copyright © 2017 Finishing Touch Commercial Cleaning. All Rights Reserved.